Imagine if someone told you that it was possible to buy a late model used car and know that it’s reliable and covered with a 5-year/unlimited mileage warranty plus 24/7 roadside assistance. The good news is that this is all possible when you buy your next used car through the Volvo Certified Pre-Owned program. Stop at Volvo Cars Keene and allow us to give you all the important information on how you can buy a CPO vehicle. 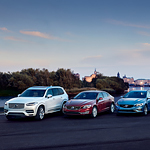 The cars offered through the Volvo CPO program have passed a 170-point inspection and will come with a Carfax vehicle history report and a clean title. Best of all, you’ll have several vehicles from which to choose. No more browsing from one dealership to another looking for a good used car! Drive to our dealership, make a selection, and take the car of your choice out for a test drive.